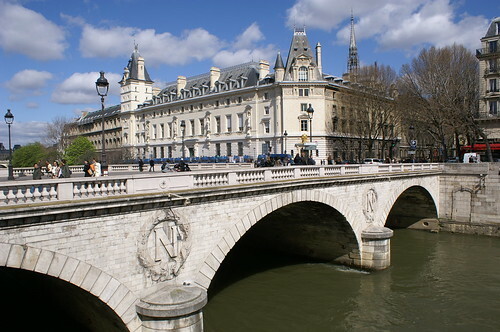 .Pont Saint-Michel is a bridge linking the Place Saint-Michel on the left bank of the river Seine to the Île de la Cité. It was named after the nearby chapel of Saint-Michel. It is near Sainte Chapelle and the Palais de Justice. The present 62-metre-long bridge dates to 1857.